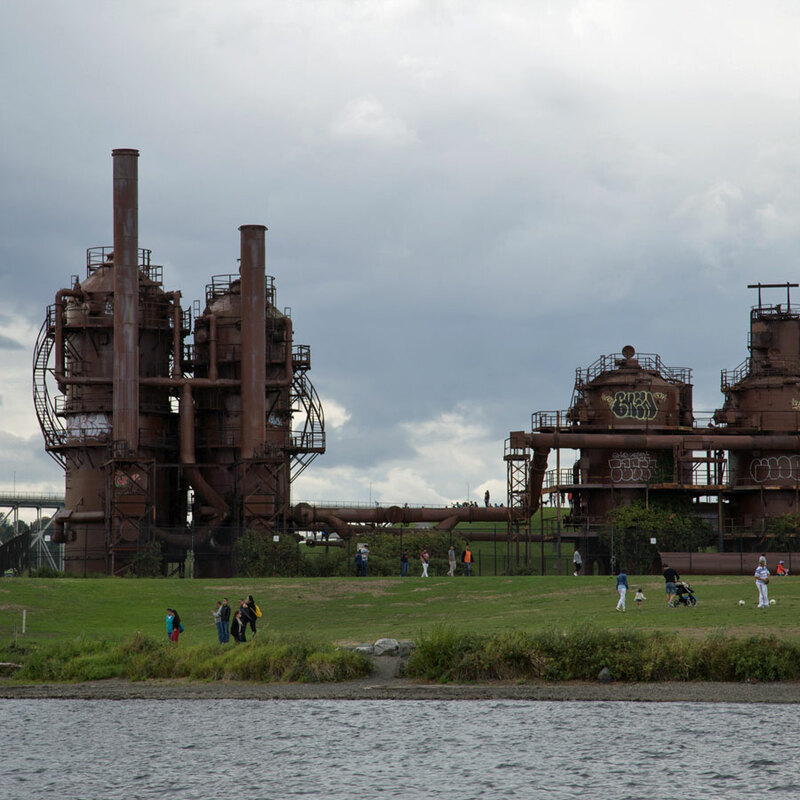 We spent nearly 50 days in the Seattle area, trying to recuperate from our Alaskan summer. Much of our time was dedicated to out-of-town travel, RV and truck repairs, and work. But we still managed to fit in some exploration. Warning: this is a LONG post, so buckle in. 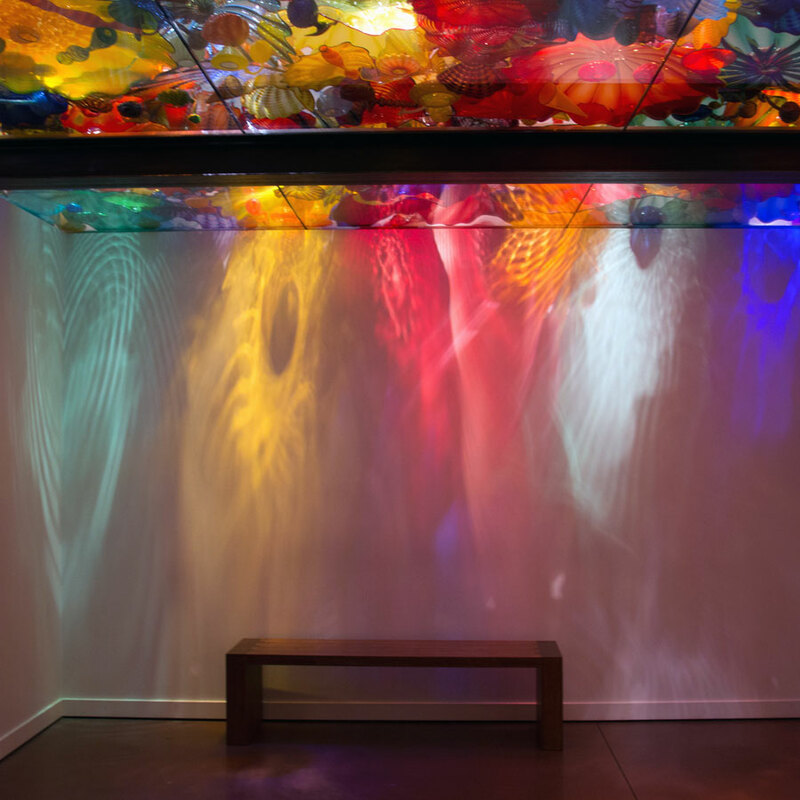 Dale Chihuly is a Washington-born sculptor whose medium is blown glass. 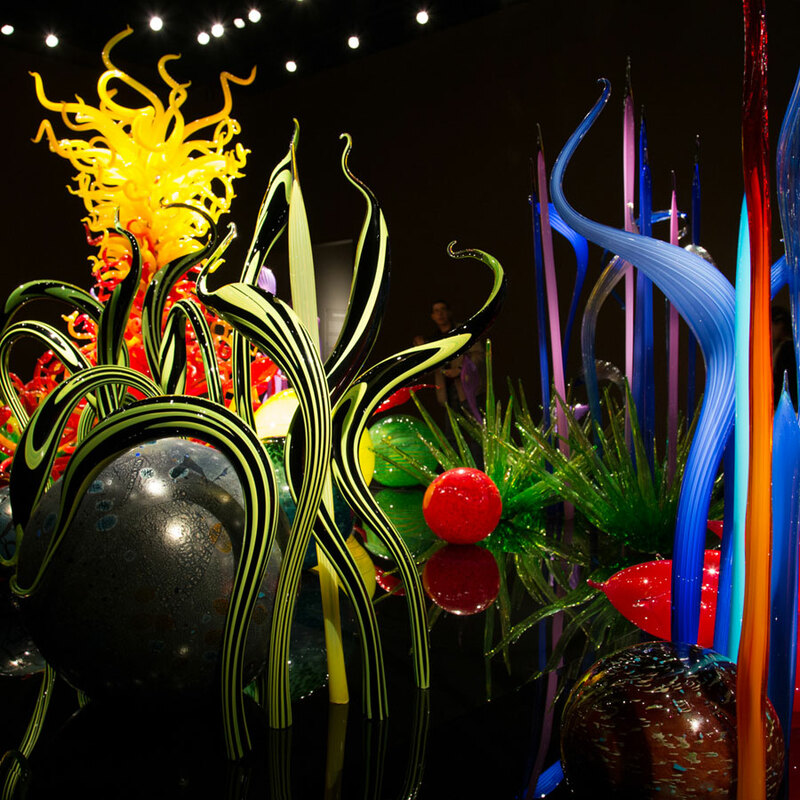 The museum dedicated to his work is a dramatic, beautiful place. 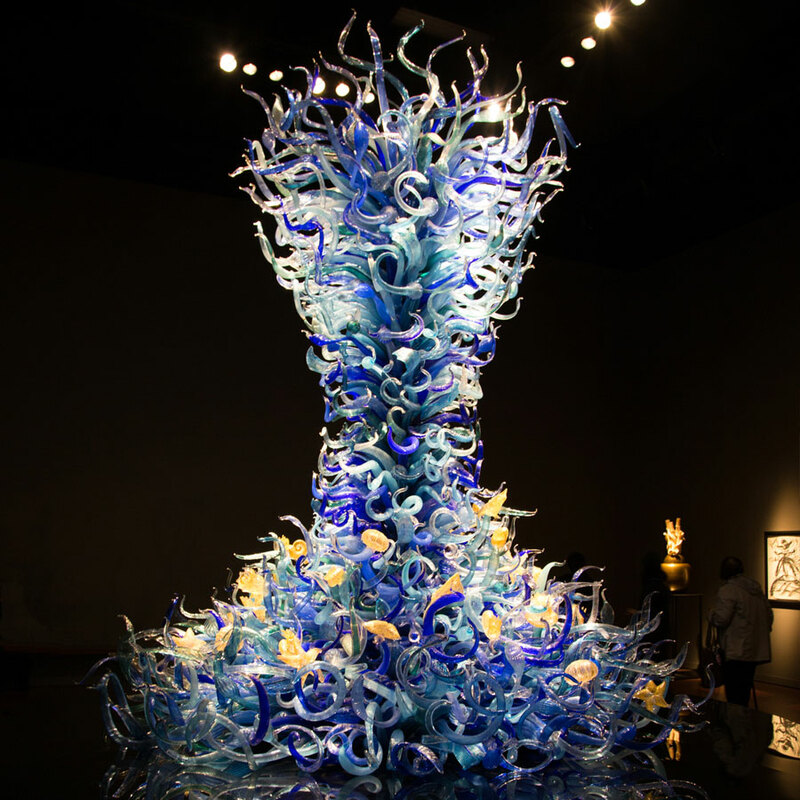 The exhibit space is dark, and the pedestals for the glass are reflective, casting a double image of the work. Passing from gallery to gallery, visitors enter immersive spaces filled with light and lots of breakable things. Recommended: leashes for children. Not recommended: sneezing. 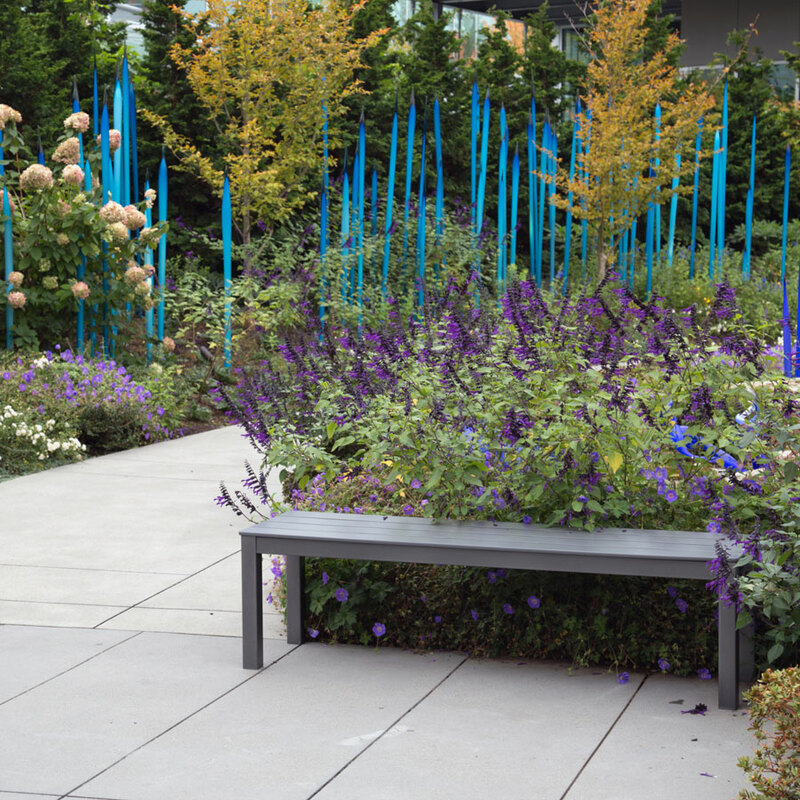 Outside is a delicate sculpture garden under the shadow of Seattle's iconic Space Needle. We left the otherworldly Chihuly museum for the more familiar sights and sounds of baseball. Our last game had been under the midnight sun in Fairbanks, and we were eager to catch another before the end of the season. 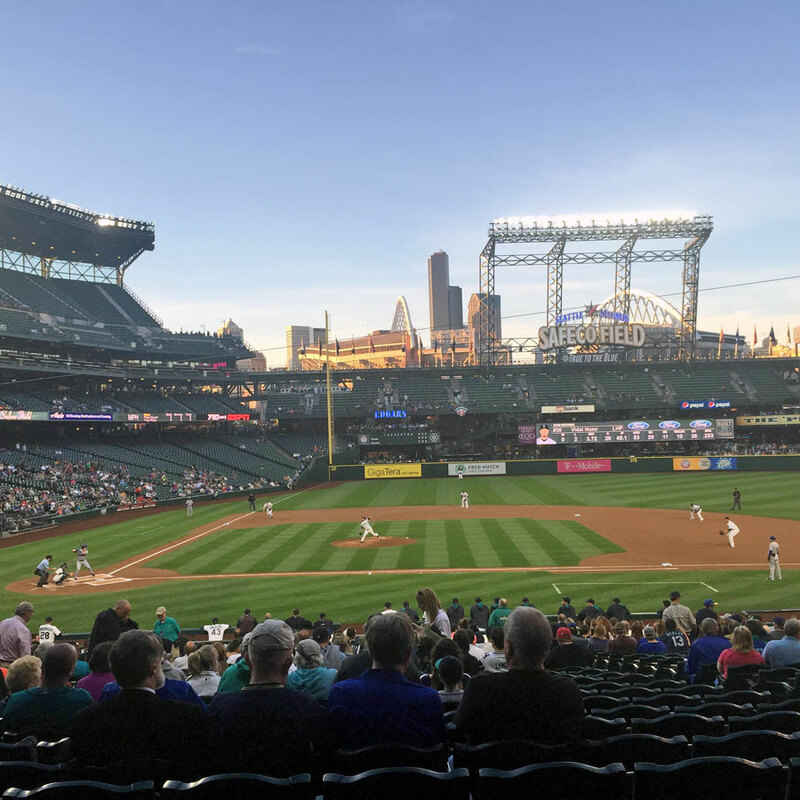 Unfortunately for Seattle, the Mariners weren't having a great year. Fortunately for us, that meant tickets were only $10 a pop. Sadly, the Mariners brought their A game and defeated Josh's beloved Texas Rangers. As for me, I'm an Astros fan, so I didn't mind too much. We saw the Mariners with Kelly and Anna of Small House Big World, and a week or so prior, we'd also joined them for a completely overstimulating day at PAX Prime. 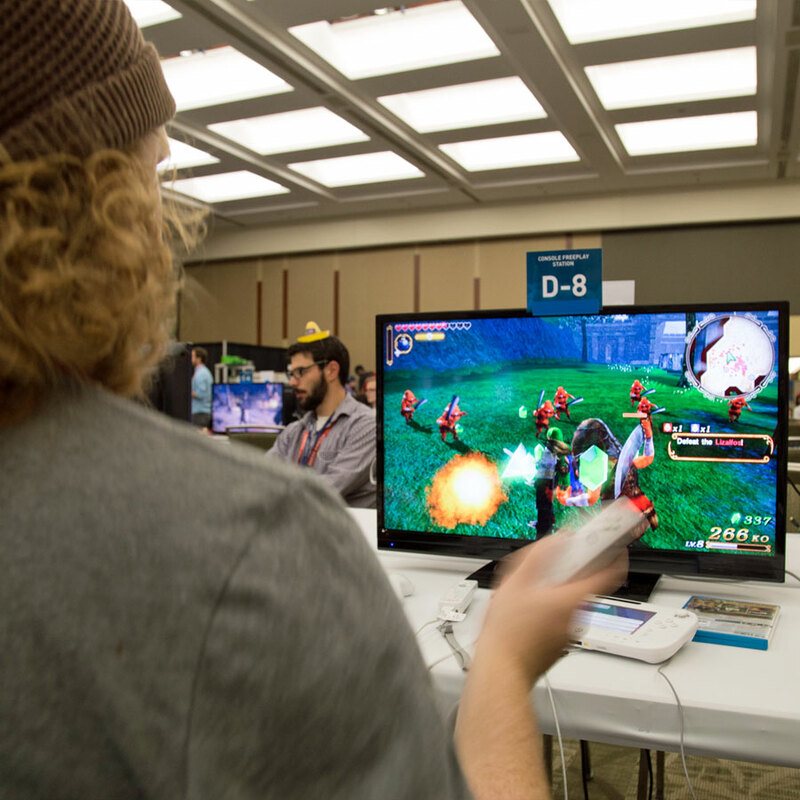 This annual gaming convention is held in Seattle and always sells out fast. Thanks to Kelly's tenacity, we were able to snag four last-minute tickets. 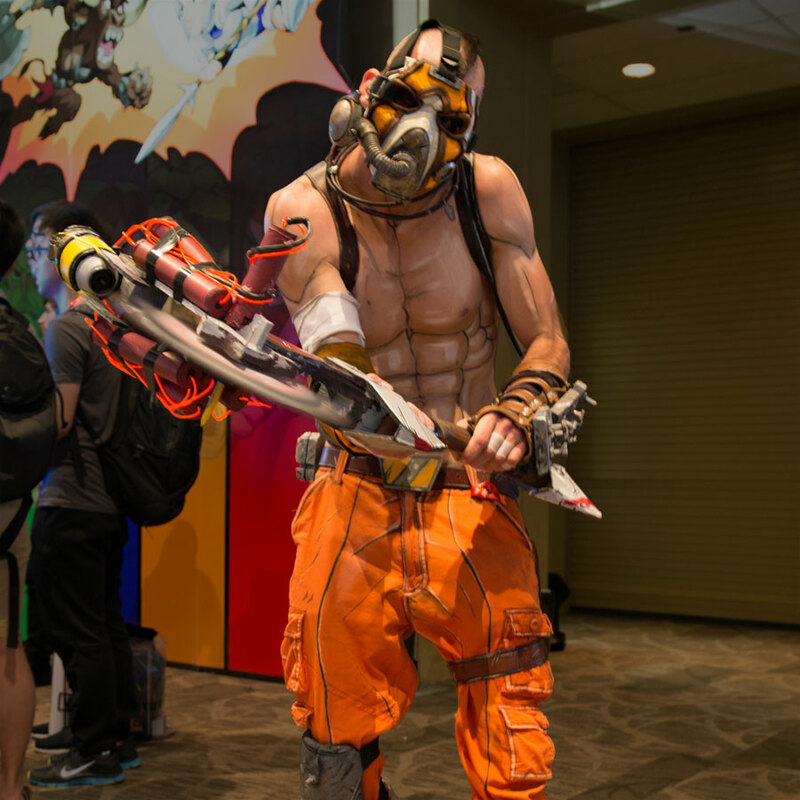 The expo was the flashiest part of the convention, with larger-than-life displays to grab attention and drum up excitement for the latest video games. There were also quite a few attendees cosplaying (in costume). There was a room full of arcade games featuring all the old classics. Ms. Pac-Man, coming right up! We spent a lot of time in the console free-play room, where we could check out any game we wanted — just like a library book. We got totally owned by Anna in Mario Kart 8, by the way. Josh playing Hyrule Warriors on the Wii U. Also, an unintentional photobomb by a man in a tiny hat. 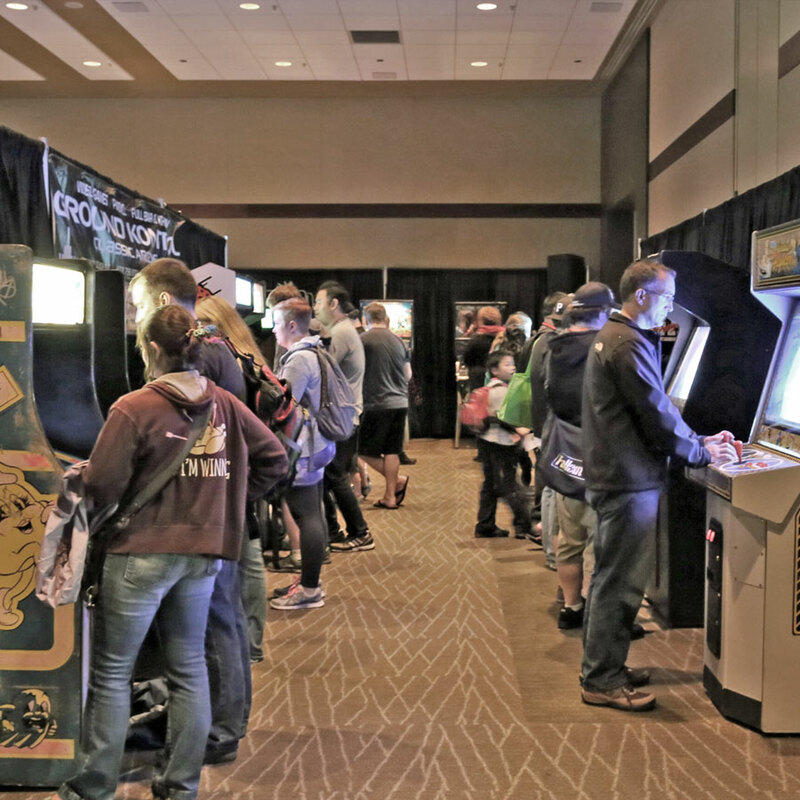 PAX Prime isn't just for video gamers. 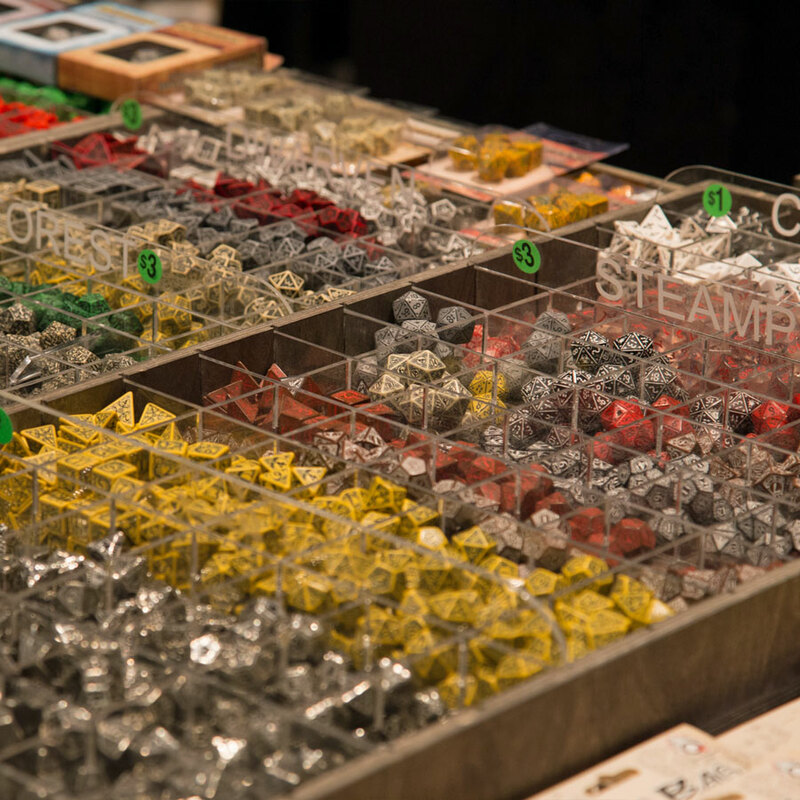 There is a huge area for board and card games, plus there are vendors who sell accessories and equipment like these multi-sided dice. 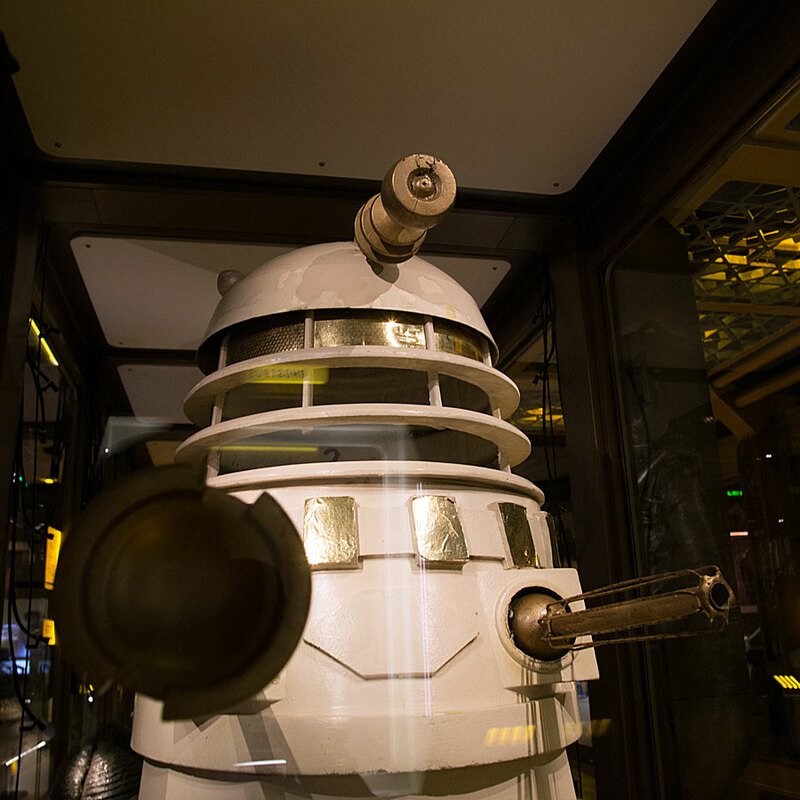 The geek-fest continued at the EMP Museum, whose initials stand for the Experience Music Project. It's an entertaining tribute to pop culture. 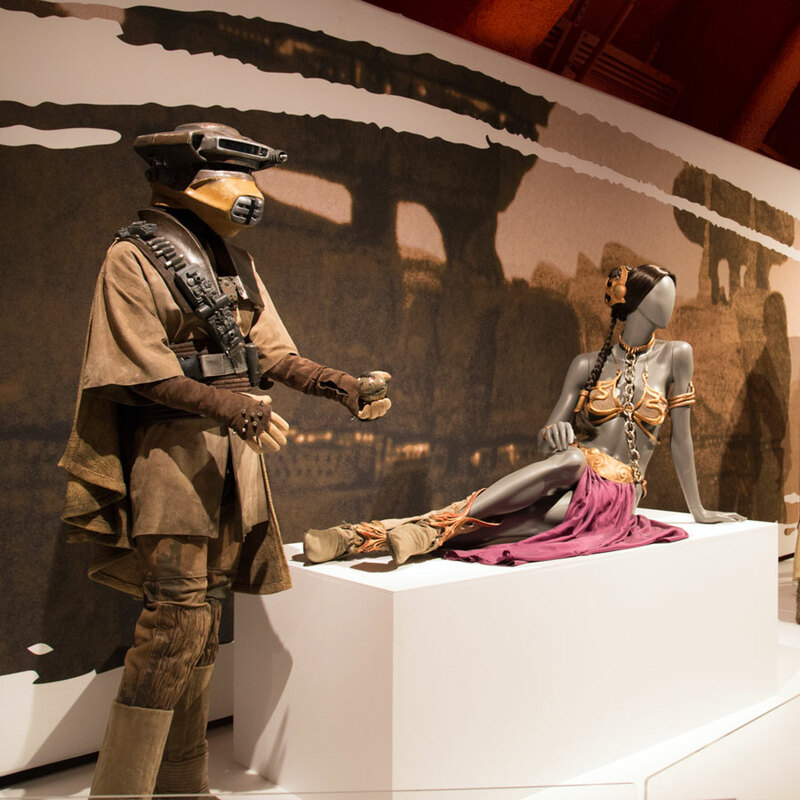 The temporary exhibit on view during our visit was Star Wars and the Power of Costume, featuring real (!!) 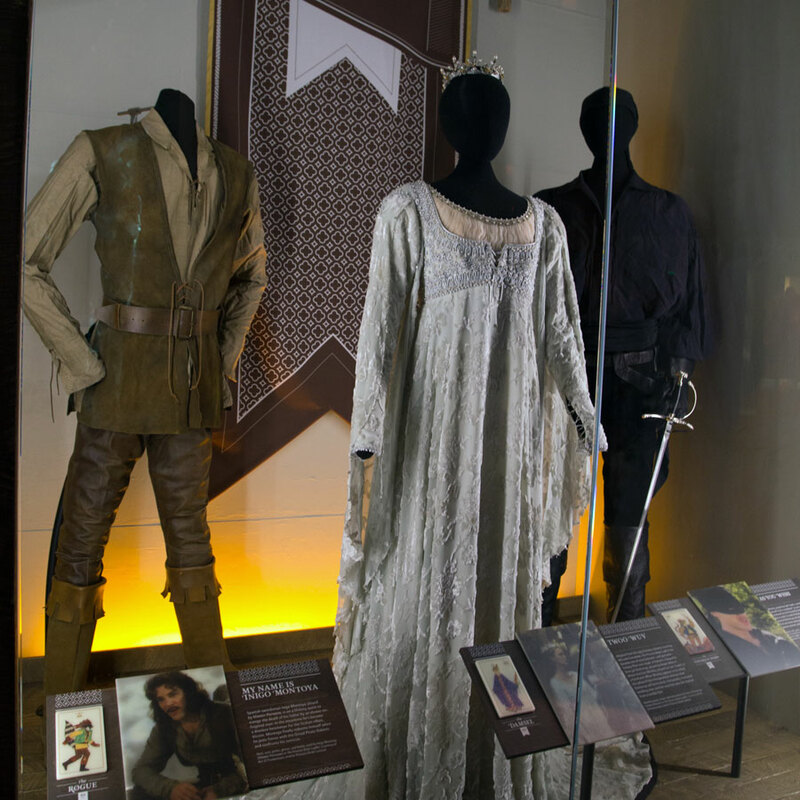 costumes worn by actors in the films. Being a diehard Star Wars fan, I knew we had to check it out. 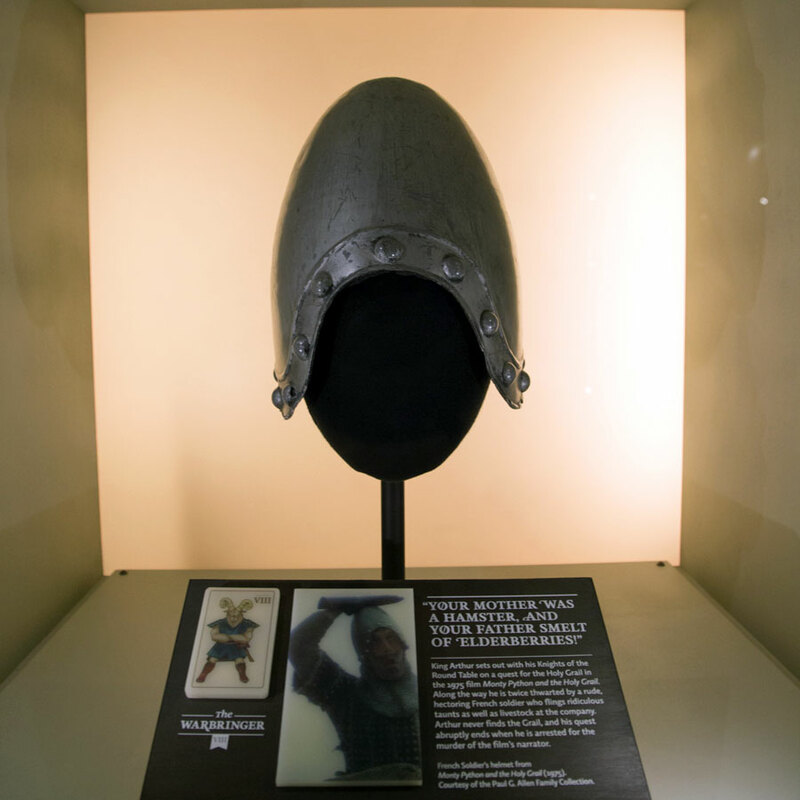 We learned that Darth Vader's helmet was inspired by samurais' helmets, and that in humid places, the woolen Jedi robes shrank so fast that they were knee-length in a matter of minutes. 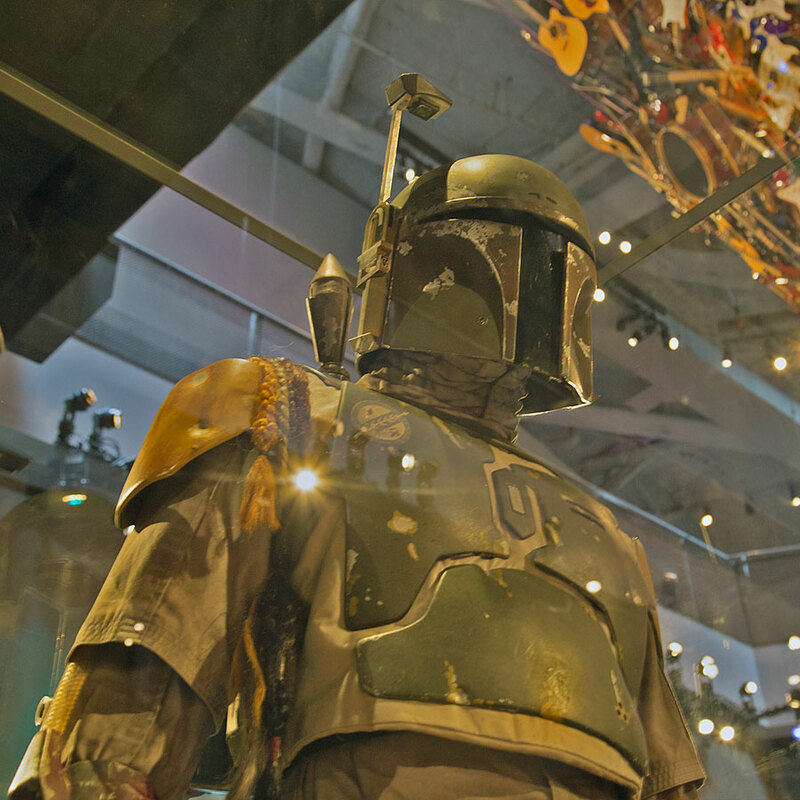 We came within spitting distance of the feared bounty hunter Boba Fett, and we saw how costuming contributed to Councilor Palpatine's evolution into the Emperor. 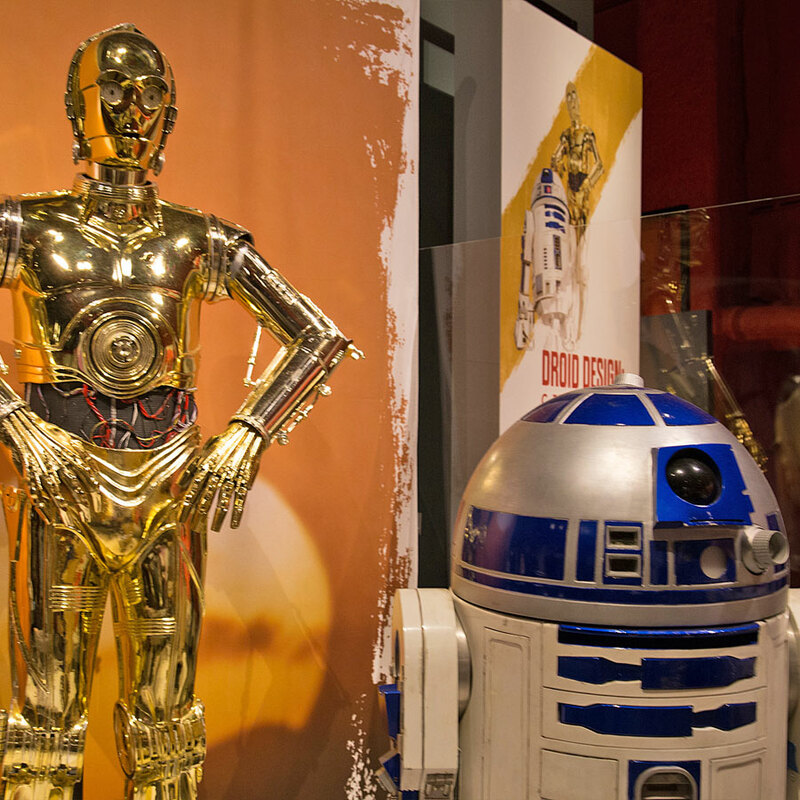 Finally, we met up with some old friends, C-3P0 and R2-D2. 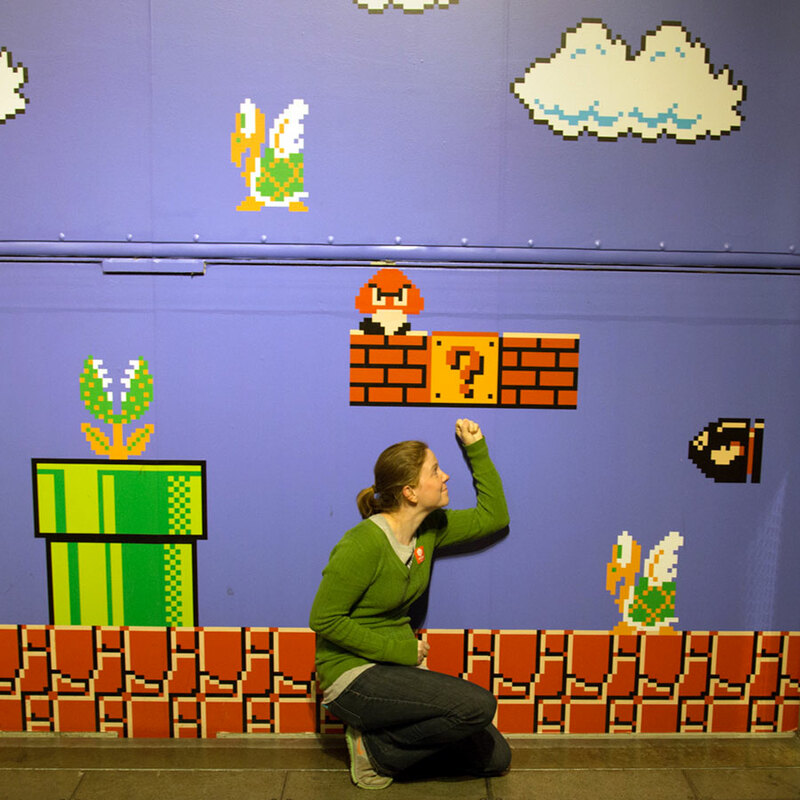 But the fun at the EMP Museum didn't stop there. 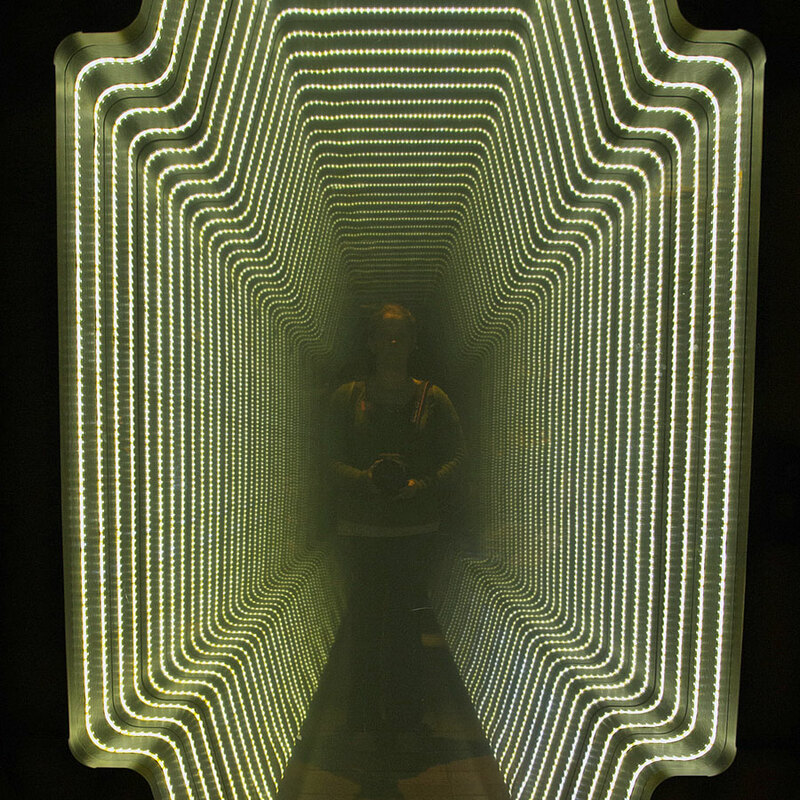 Our next stop was the Infinite Worlds of Science Fiction exhibit. 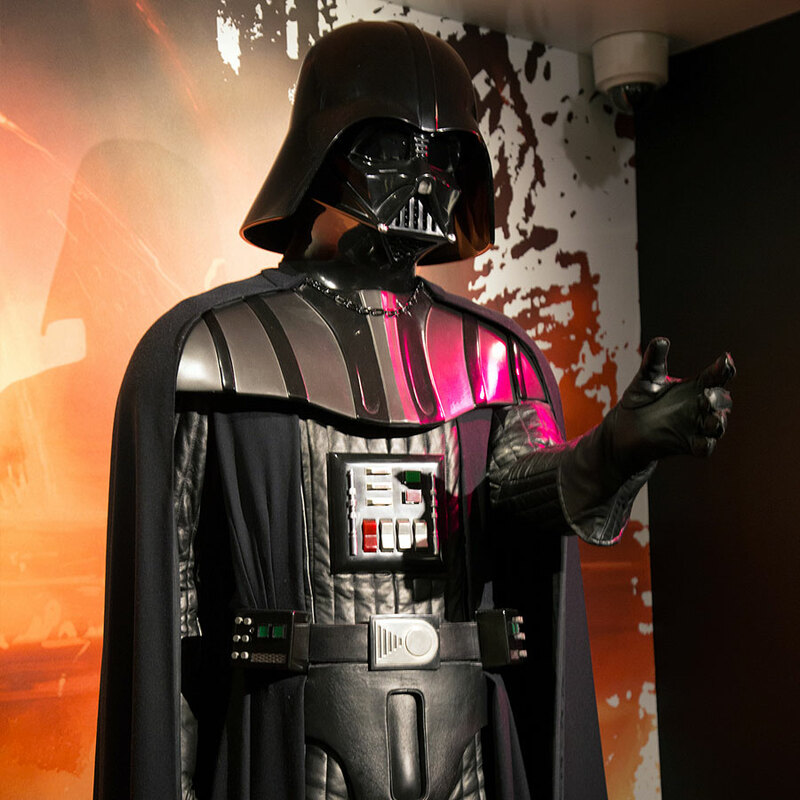 The exhibit was full of items, drawings and costumes from famous sci fi movies and TV shows. 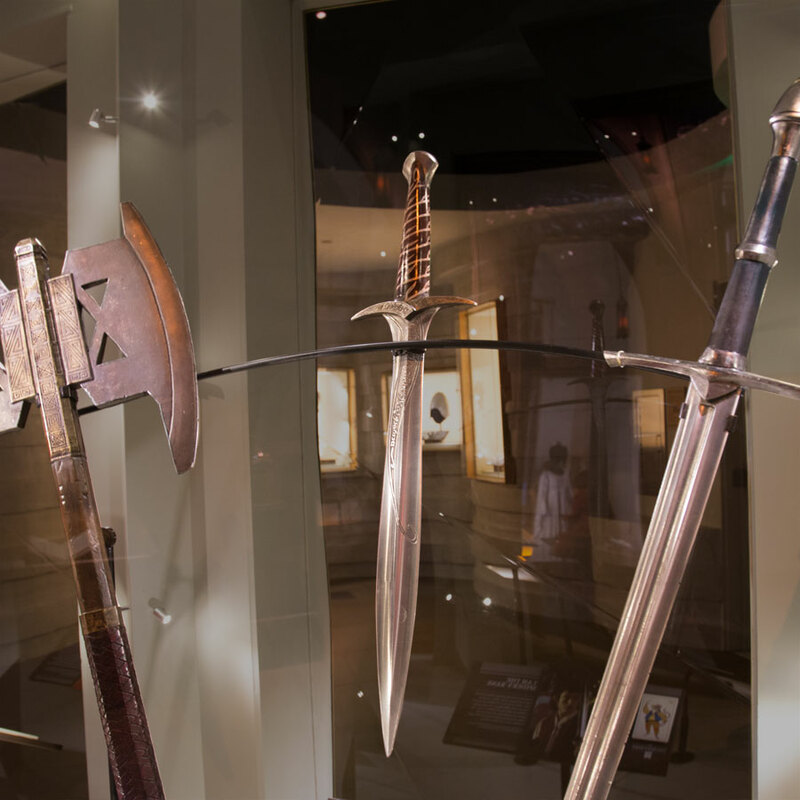 We visited a similar exhibit called Fantasy: Worlds of Myth and Magic. Let's all say it together: "Hello. My name is Inigo Montoya. You killed my father. Prepare to die." It was stocked with familiar icons from favorite fantasy films from my childhood. There were even props from not-so-silly movies. From here, we headed towards the video game section of the Museum. 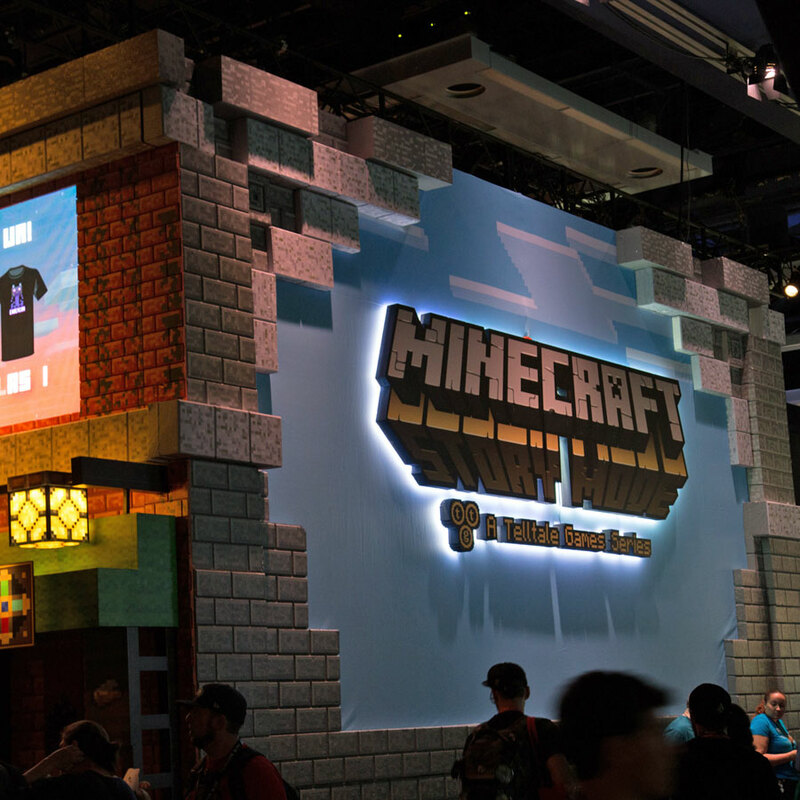 What can we say, our PAX Prime fix had already worn off. 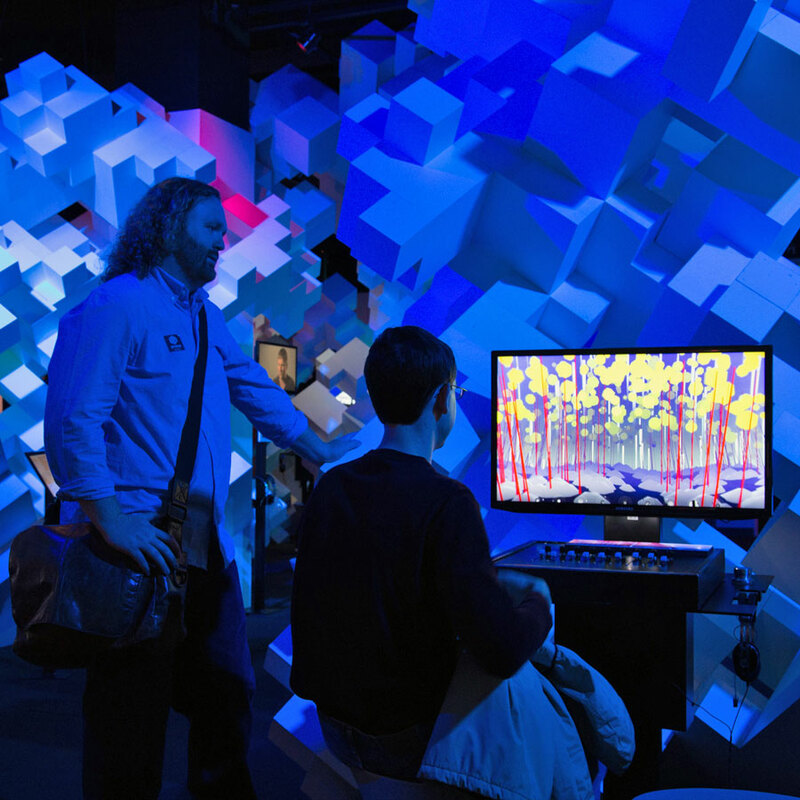 In the Indie Game Revolution exhibit, we had a chance to play some of the latest and greatest independent video games. 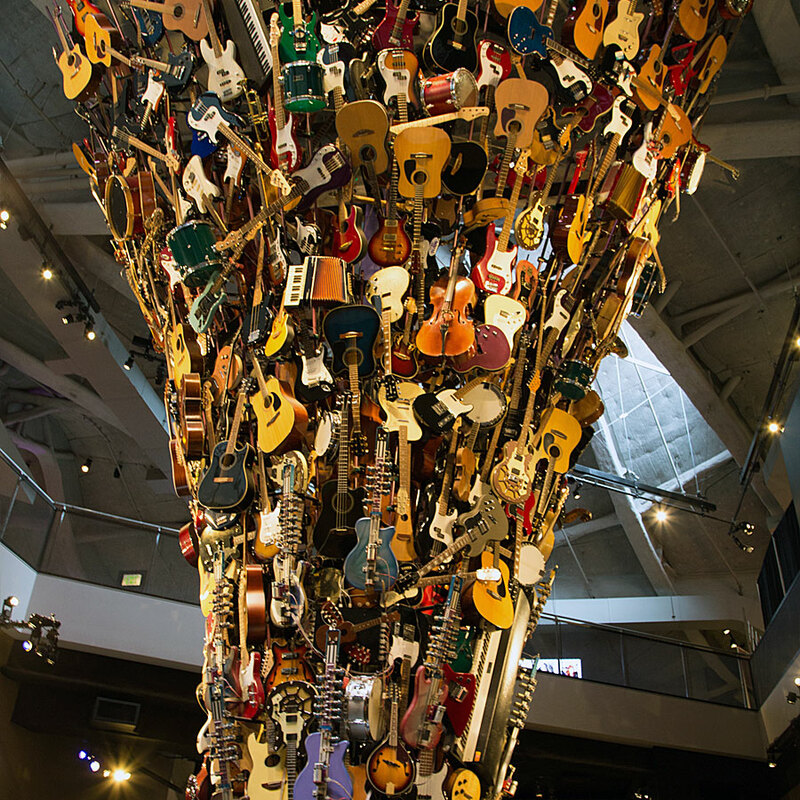 You may be wondering with a name like the Experience Music Project whether there was any music to be experienced. We ran out of time to visit the Hendrix and Nirvana exhibits, as well as the Sound Lab, but we did stop to watch Michael Jackson's Thriller on the big screen and check out Trimpin's guitar sculpture played by robotic arms. 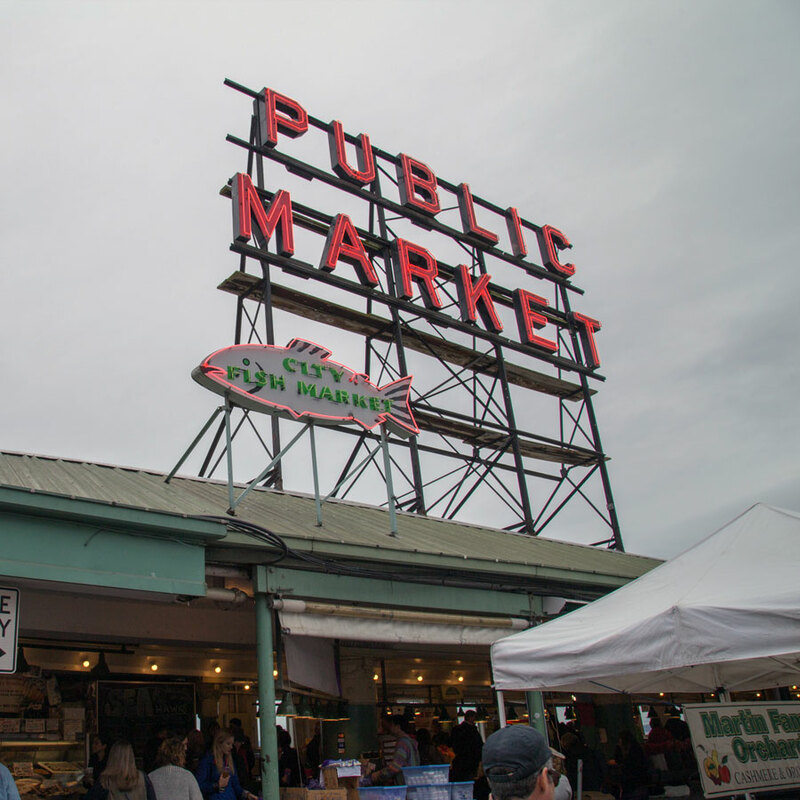 We ventured to the quintessentially Seattle-an Pike Place Market, a massive and historic farmer's market. Here, we wandered right past the giagiantic line spilling out of the original Starbucks, had a delicious German lunch and did some shopping. The shopping did not include fish, I'm happy to report, as our freezer still has a bit of halibut and salmon left from Josh's fishing trip in Seward, Alaska. Probably still pretty fresh, though! 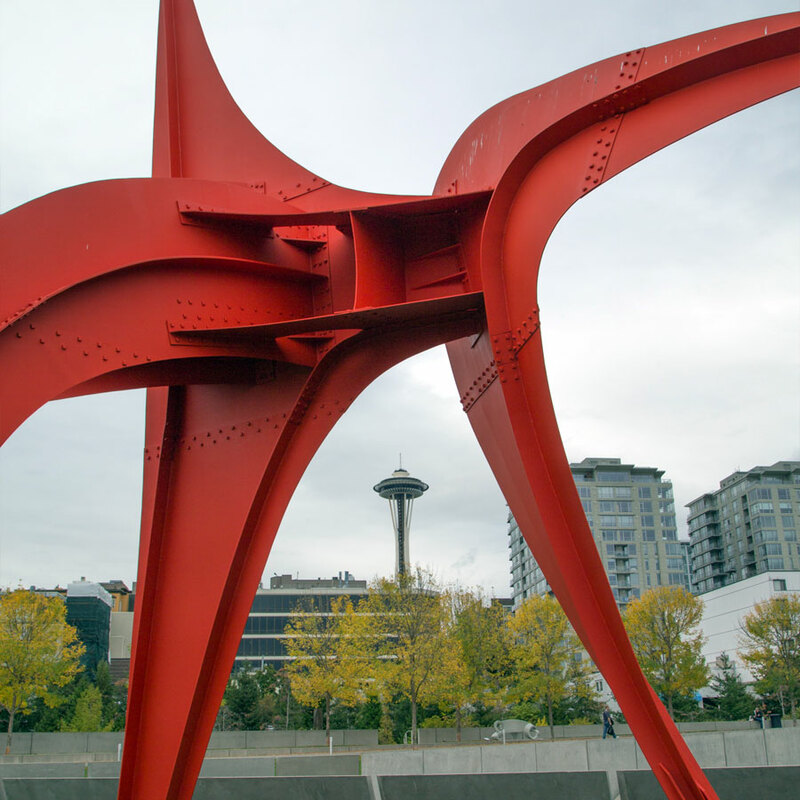 We walked off the German food by heading to the Olympic Sculpture Park that rises from the water and crosses over the road towards the Seattle Center. It's definitely the long way around if you just want to cross the street, but it's worth the trek if you have some time. 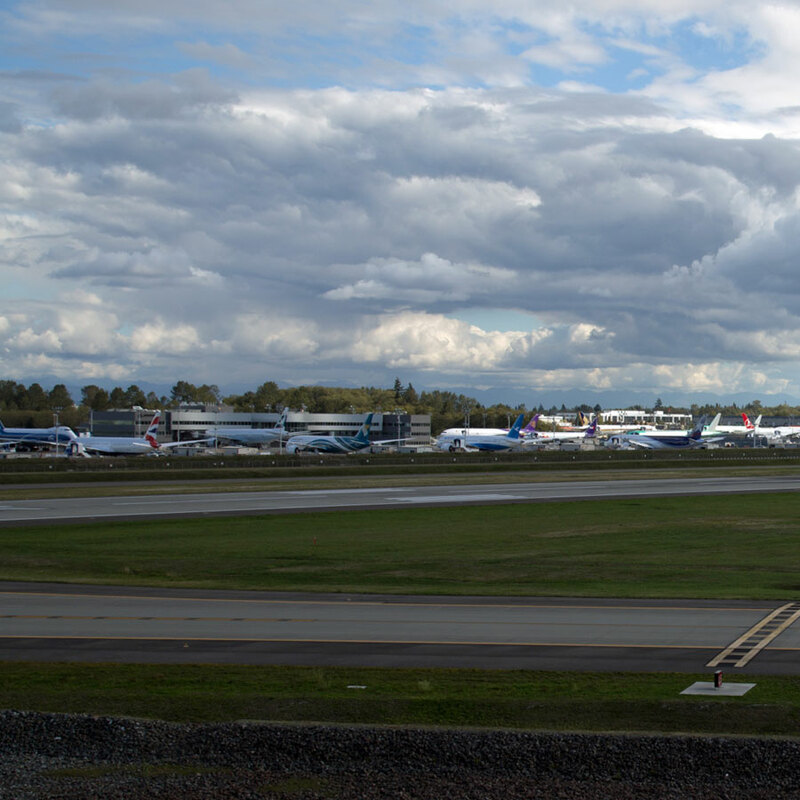 We found beauty in efficiency at the Boeing plant in Everett. Our friends Russell and Katherine, both mechanical engineers, wanted to check out the world's largest building (measured by volume) where aircraft are made around the clock. Josh and I were interested, but when we got there, we were amazed. Unfortunately, no photos were allowed in the plant, but the neighboring Future of Flight Museum was fair game. I wish we could show you images of the new Dreamliners being welded together, but you'll just have to visit for yourself. 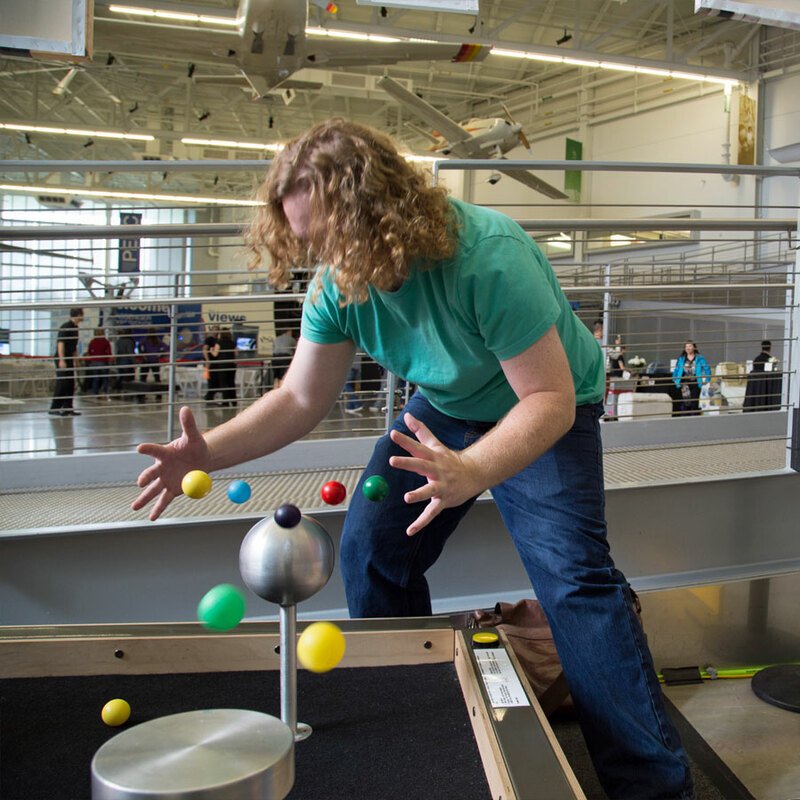 Josh playing with aerodynamics at the Bernoulli table. Or being a wizard. Hard to tell. 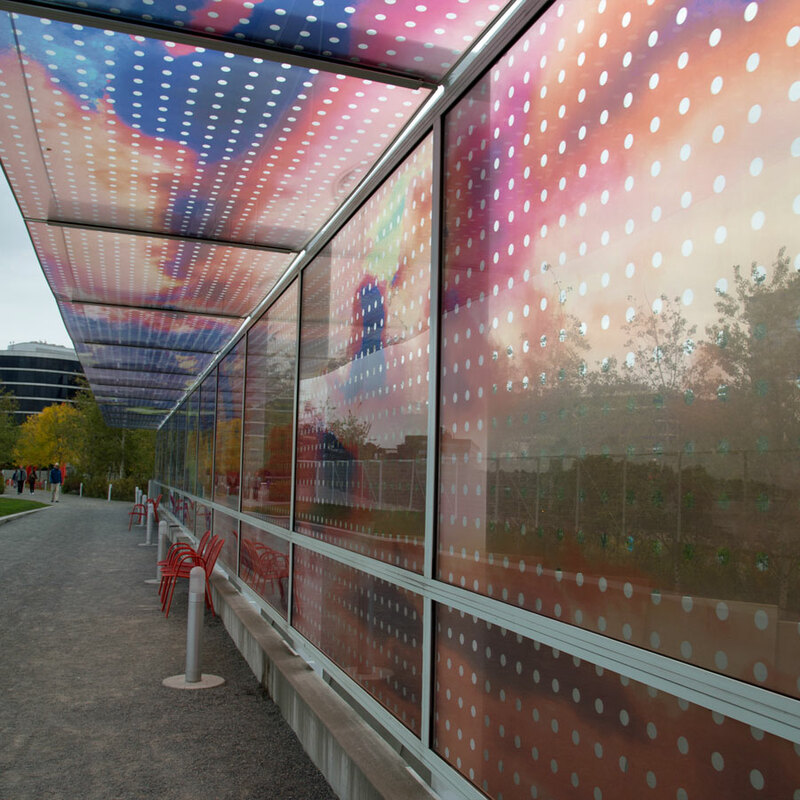 A point of advice: we didn't feel the museum was worth the admission price on its own. So go for the Boeing tour, and kill time while you wait for it to start in the gallery. 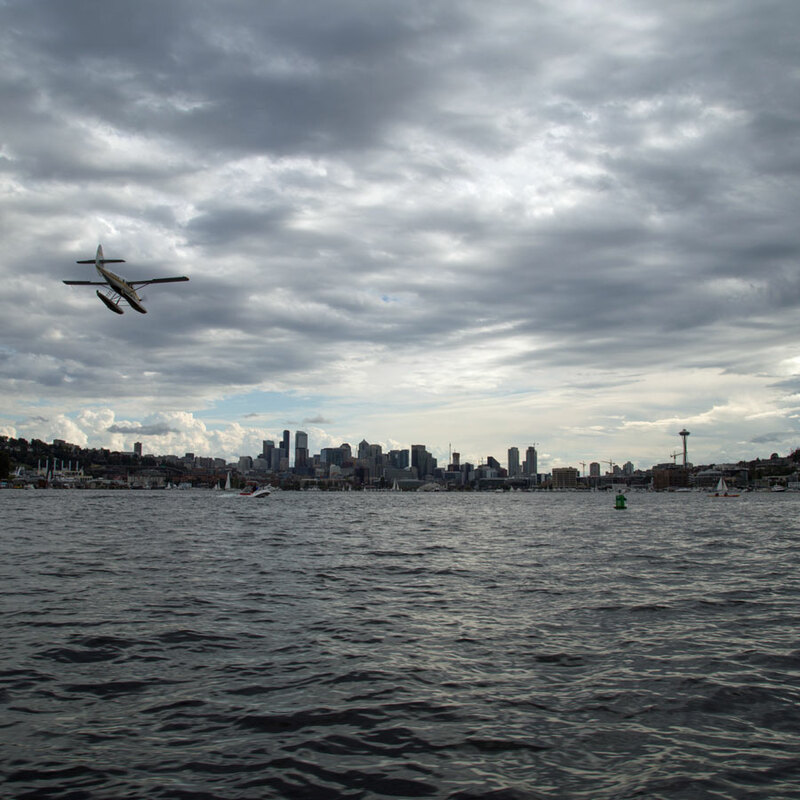 One of my best experiences in Seattle was seeing the city from an unexpected vantage point: the water. Anna's (Small House Big World) childhood friend took us out on Lake Union one weekend. 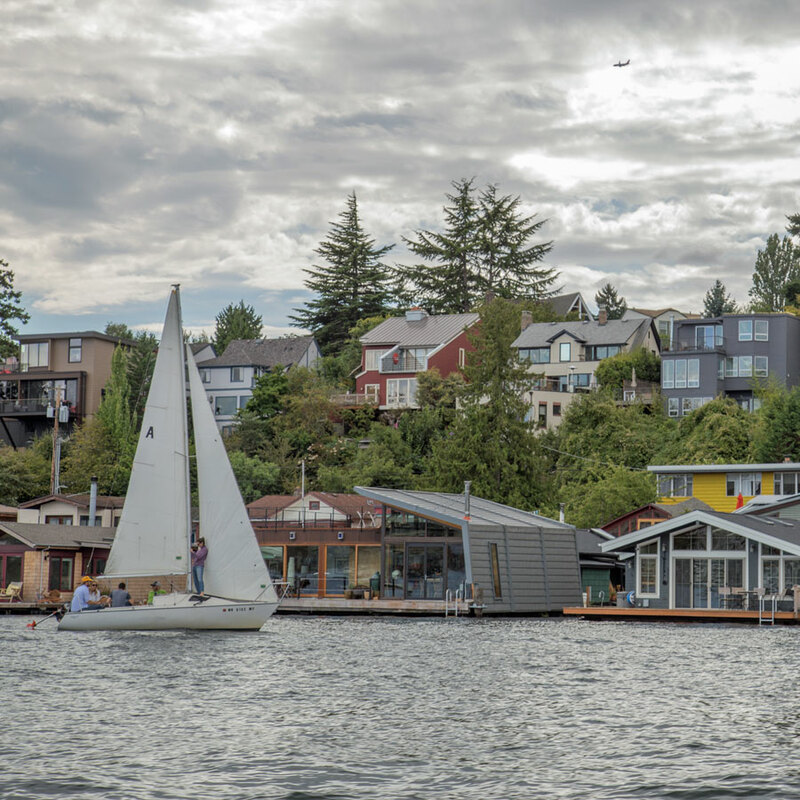 We pulled out of the marina and first spotted some of Seattle's famous houseboats. Then we sailed by Gas Works Park, the only coal gasification plant still standing in the U.S.
As we passed through Portage Bay and under Montlake Bridge, we read painted messages of encouragement for the University of Washington rowing team, and of intimidation for their opponents ("We Kill for Fun"). 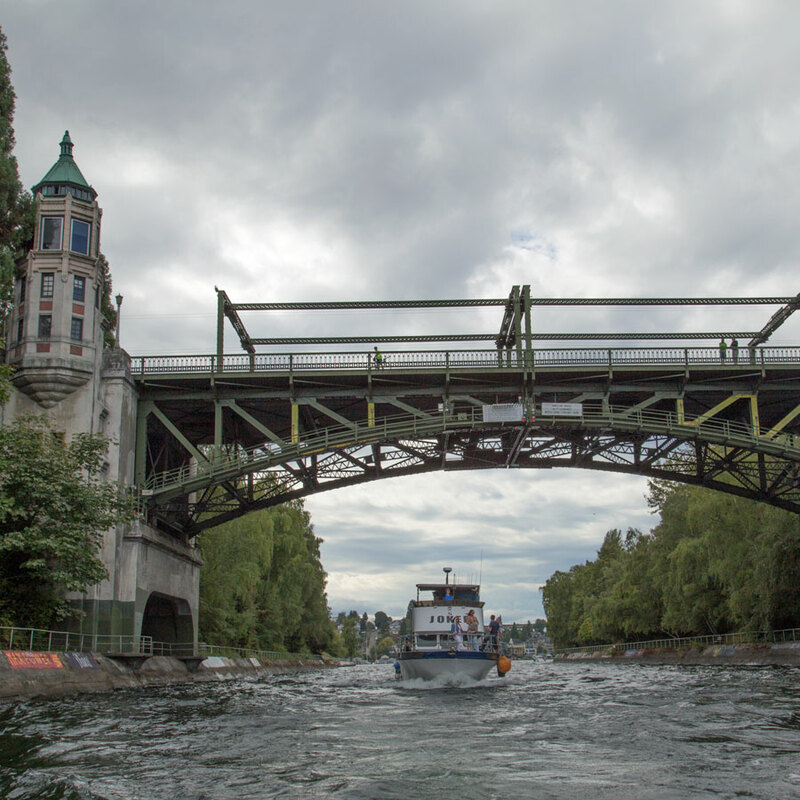 Then we peered into Husky Stadium, where boat owners can dock to tailgate on game days. 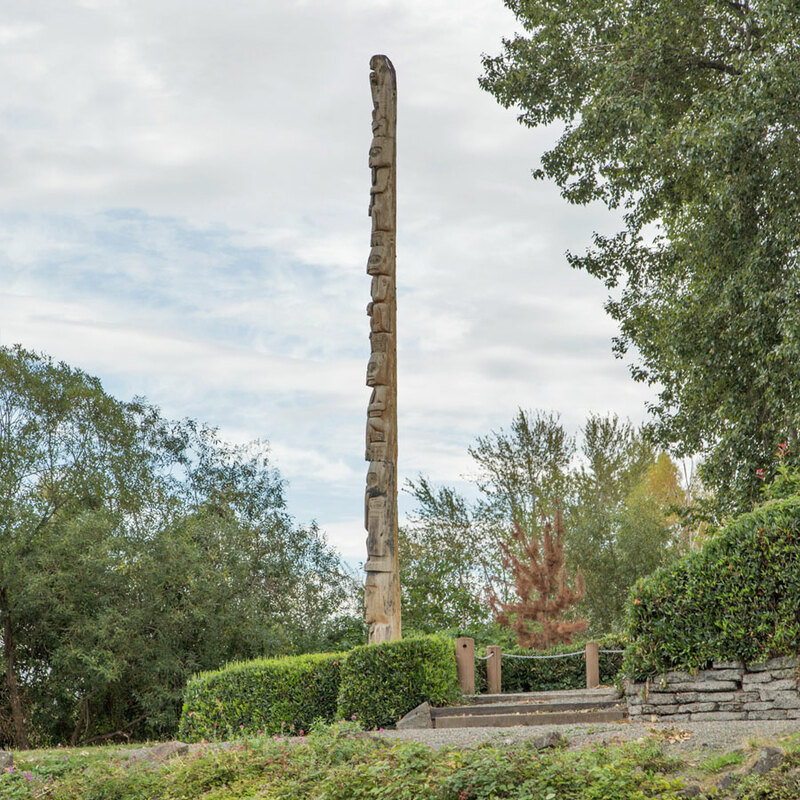 We made our way into Union Bay, where we spotted a totem pole, the first I had actually seen in person. 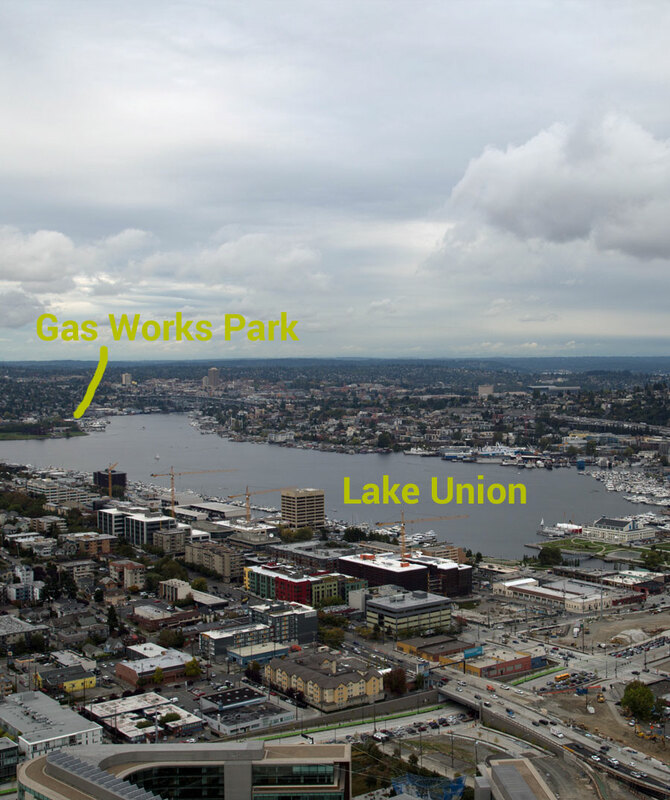 Before long, we had made it to Lake Washington, and it was time to turn around. But before we docked, we watched an otter swim by and a float plane soar overhead to land on the water in front of us. All in all, it was a totally magical day. 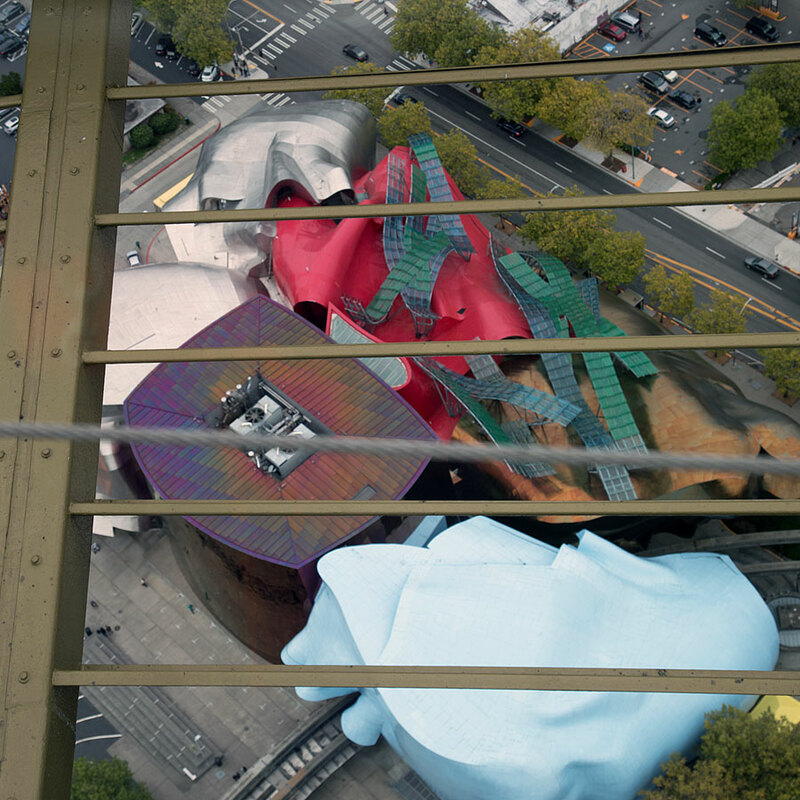 There was no better way to tie everything together than from atop the Space Needle. Now that we had spent a lot of time around the city, it was fun to get a bird's eye view of everything we had seen and experienced. 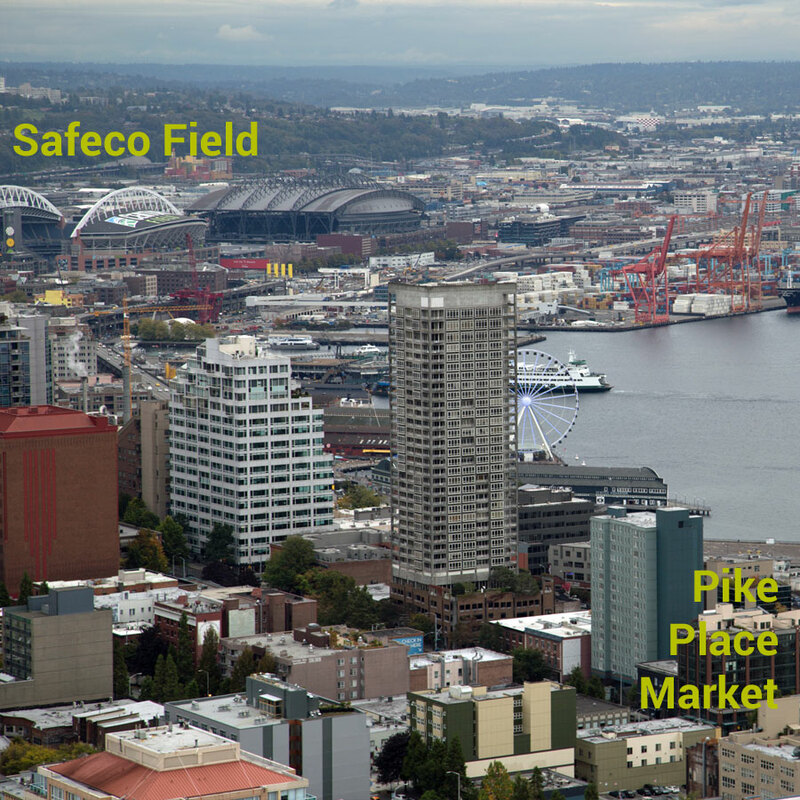 Seattle has always been on my bucket list, but instead of crossing it off, now I have even more that I want to explore. Coming soon will be a post about all of our adventures outside the city, so don't worry if you feel like we missed something important. 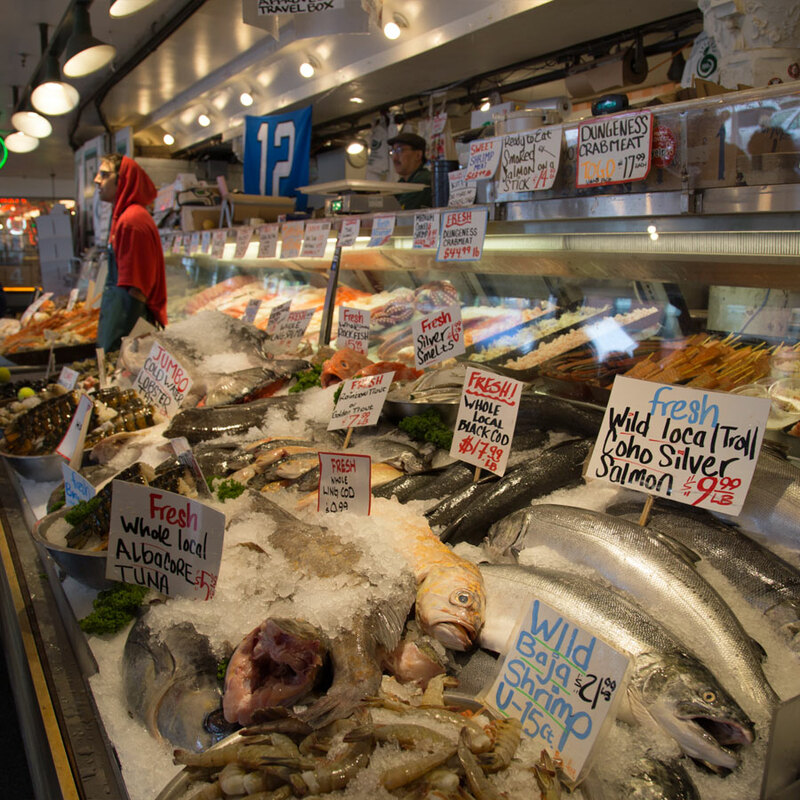 What are your favorite things to do in the Seattle area?